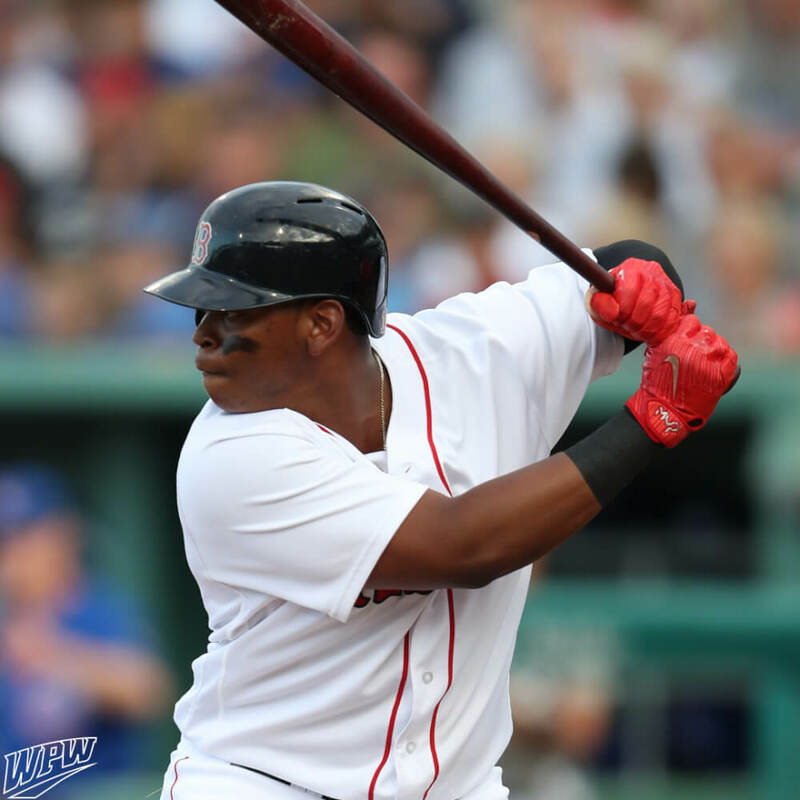 Here’s the flashiest item in Rafael Devers’ locker, his Nike MVP Elite batting gloves. 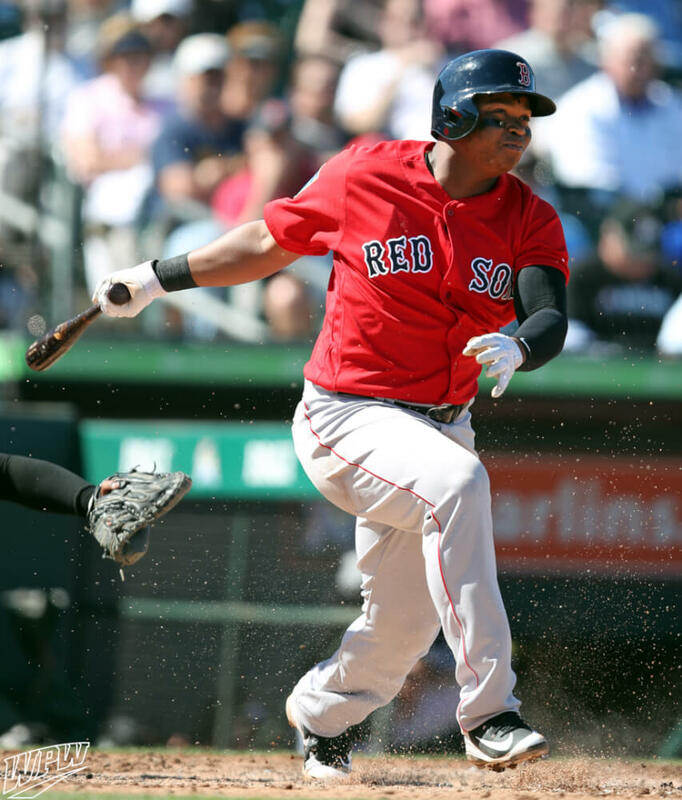 Devers wears whites and reds. These are best found on eBay, where there are tons of options, some older models than others, at the link. 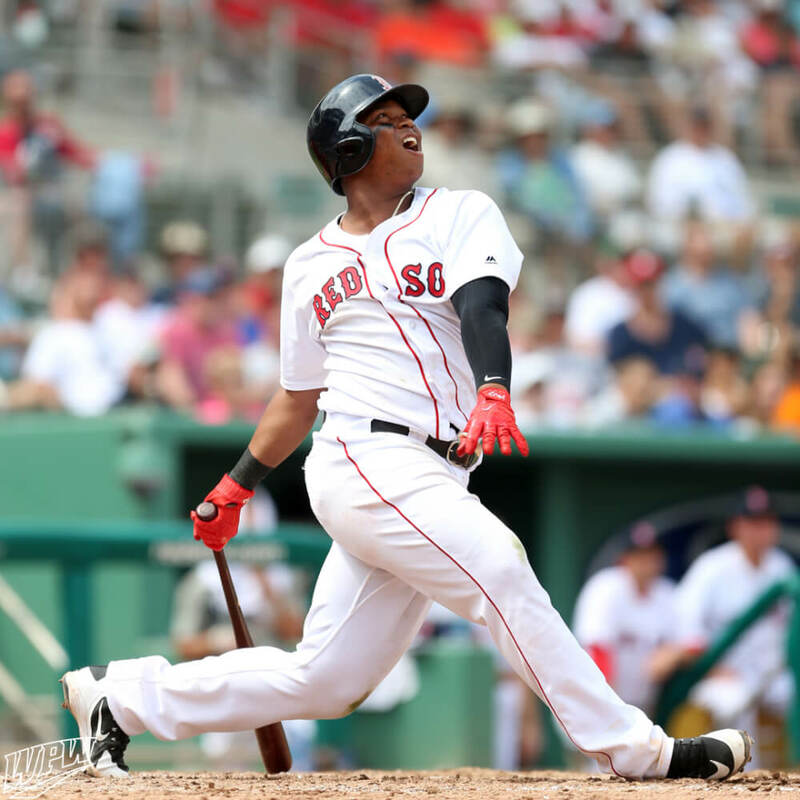 Categories: Rafael Devers, Gear, Batting Gloves, Boston Red Sox, Third Base.